Parents and students put their faith in music educators to teach music and continue the history and importance that music has brought to the evolution of the human culture. We, in Tonara, believe in this and put our faith in music educators, however, we also understand that at times, the management side of things can become tediuos and take away from the true teaching. That is why we have designed a comprehensive business management module for teachers to use before, during, and after lessons, to make their lives easier. 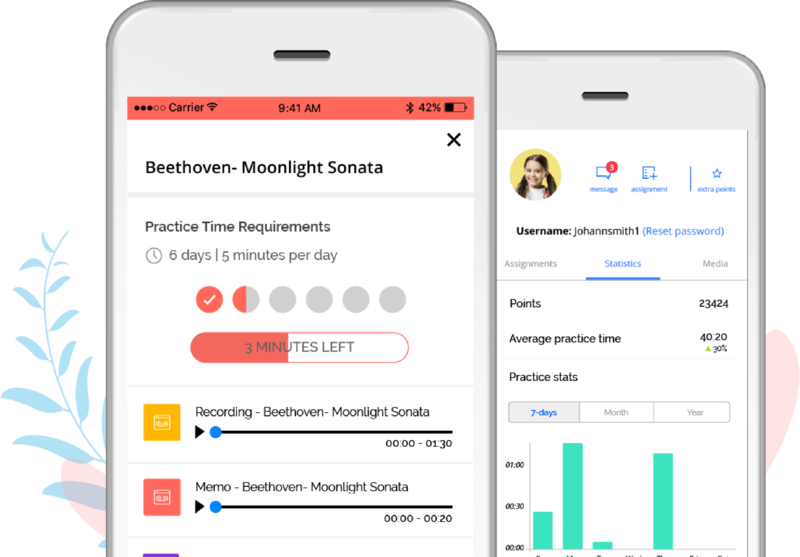 Tonara is a One-Stop-Shop platform enabling teachers to manage their studio while motivating their students to practice, all within one central platform supporsed both via the app or using a desktop portal. 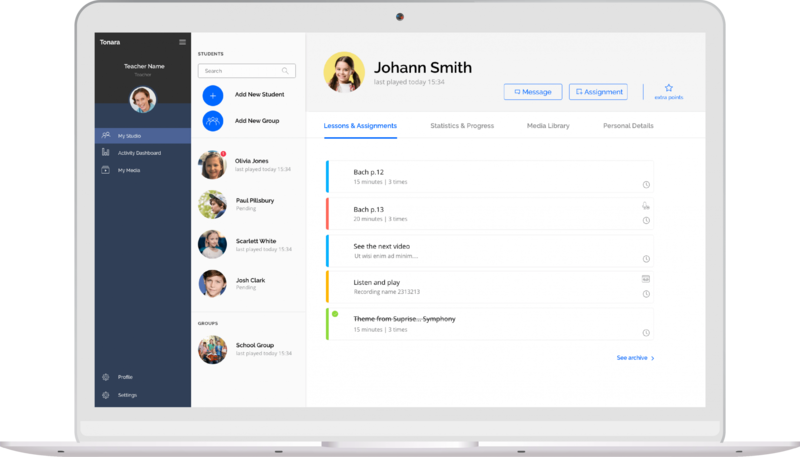 With abilities such as Student Management, Communication, Lesson Scheduling, Assignment Management, Payments, and Student Progress Tracking, the management side of the business is now easier than ever before. Lesson management – Managing a music studio isn’t an easy task which is why we’ve created such features that help teachers to keep the management under control and as such have more time to focus on teaching music. 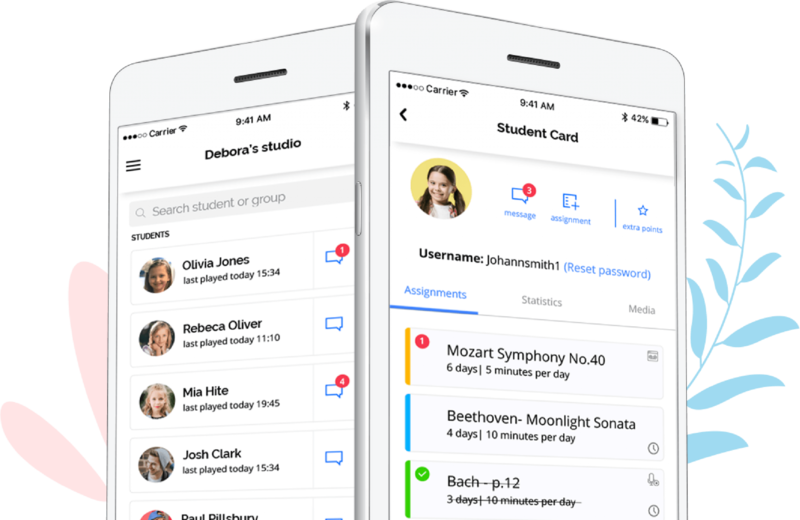 Teachers are able to schedule lessons, rehearsals, recitals, and other types of events using the calendar module, manage lessons, add notes, create and send assignments relating to each lesson and also track their students’ progress on the assignments sent. All this kept separate from their personal life. Tracking, Payment & Invoicing – Once the lesson took place it is now time to track its occurrence, collect payment, and issue an invoice. All this can be done either from within the app or via the Teacher’s desktop portal. With our unique music teacher online payment service makes it all easier, faster, and more convenient to collect payments from parents. You will be able to keep track of which students have already made payments and which students need to pay. With all the business management side of things put aside, one of the biggest advantages of Tonara for teachers is its ability to enable them to easily communicate with their students and parents. 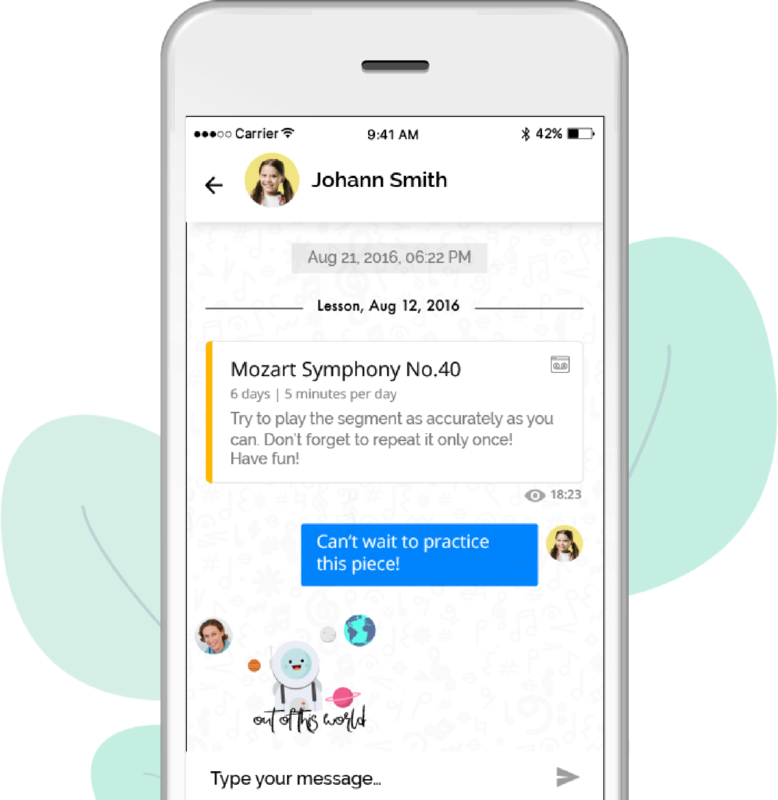 Using the messaging, teachers can send them assignments, hand out points and stickers and provide guidance to their students’ in-between lessons. They can also keep parents involved and updated on their kids’ progress. Tonara’s communication module also supports chat groups and channels. Once students practice on the assignments sent by their teacher, the teacher can then track their progress (as can their students). Teachers can see how much of the assignment has been completed and what still needs to work on. They’re able to track their students’ progress with weekly, monthly, and yearly statistics. The knowledge of whether their students are practicing and if so then on what and how much has always been a huge missing piece of information in the puzzle of music education and with Tonara it is now over.